Tilorone dihydrochloride is the first recognized synthetic, small molecular weight compound that is an orally active interferon inducer, used as an antiviral drug. KHS101 hydrochloride could selectively induce a neuronal differentiation phenotype and interacts with transforming acidic coiled-coil-containing protein 3 (TACC3). KHS-101 is a small molecule that selectively induces a neuronal differentiation phenotype, induces neuronal differentiation in cultured hippocampal neural progenitor cells (NPCs) by interacting with TACC3 (EC50=1 uM). 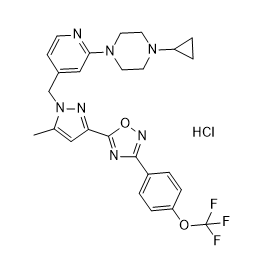 TP0463518 is a novel, highly potent HIF prolyl hydroxylase (PHD) inhibitor with IC50 of 13 nM and 18 nM for human and rat PHD2, respectively. 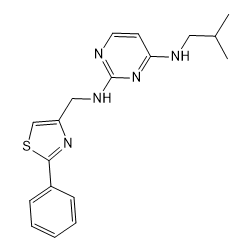 BAY 87-2243 is a highly potent and selective inhibitor of hypoxia-induced gene activation, which has antitumor activities by inhibition of mitochondrial complex I.
VH-298 is a highly potent inhibitor of the VHL:HIF-α interaction with a Kd value of 80 to 90 nM, used in PROTAC technology. 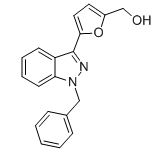 IOX4 is a potent inhibitor of PHD2 (IC50 = 1.6 nM). YC-1(Lificiguat) is a soluble guanylyl cyclase(sGC) activator; binds to the heme-containing domain of the β subunit with Kd value of 0.6-1.1 μM in the presence of CO.
Glucosamine is an amino sugar and a prominent precursor in the biochemical synthesis of glycosylated proteins and lipids, is used as a dietary supplement.